What is the difference between an Uplight, a GOBO, and a Pinspot? Uplights are the foundation of any Event Lighting design. They are placed on the floor of your venue, and are used to create a color wash on the wall or drapery. Gel overlays, which come in a wide variety of colors, can be used to customize the wash to complement your wedding’s color scheme. GOBOs come from the term “go between”. GOBOs are metal or glass discs with cutout patterns, names, or initials. They are placed over the lens of the light. Their image can be projected onto walls or floors in a wide variety of colors. Pinspots can be used to highlight the bride and groom, musicians, cake, candy bar, centerpieces, tables, or other key focal points. How much notice do you require for a custom GOBO? In order to avoid a rush fee from our supplier, we need your artwork at least 45 days before your wedding/event. We do not! We believe that Lighting and Décor is one of the most important factors of any event, so we are happy to work with you to ensure your Lighting Design delivers the desired look within your budget. Can I add or subtract lighting from my original contract or estimate? During the estimate stage you can make as many changes to your estimate as necessary, both additions and subtractions, to ensure that your design is perfect! Once you move to the contract stage you can add items up to 2 weeks prior to your wedding, but should you wish to add a custom GOBO, we require your artwork 45 days prior to your wedding to avoid a rush fee from our supplier. We can never subtract lighting from your contract, as we have taken those items out of our inventory to reserve them for you. When making additions or deletions to your order, please keep in mind that Fantasy Sound Event Services has a minimum on all Event Lighting and Décor orders, depending on your location. How do I pay for my event? A non-refundable retainer of $500.00 is required to hold your wedding date and is due seven days after we send out your contract. The balance due is required two weeks prior to your wedding date. Acceptable methods of payment include: personal checks, cash, and all major credit cards. Retainers cannot be refunded, as they are used to secure your date and all necessary equipment. Our event Lighting and Décor Design Specialists are available to meet with you for a free consultation in the initial stages of planning. Many couples like to take advantage of this optional meeting as an opportunity to learn more about their lighting options. If your wedding is taking place at a venue we have not worked at before, we will require an on-site consultation. If the venue is in the East Bay or Tri-Valley area, this on-site consultation is complimentary. If the venue is located elsewhere, the consultation is $250.00, which will be credited towards your final balance if you decide to book. After we contract you, we will meet with you once for your final meeting, which takes place no later than two weeks before your wedding. During your final meeting, we will go over specific lighting and decor placements, as well as selected colors and patterns. What is an Event Lighting Finalization form? Our Event Lighting Finalization form ensures that your lighting is exactly the way you envisioned it. 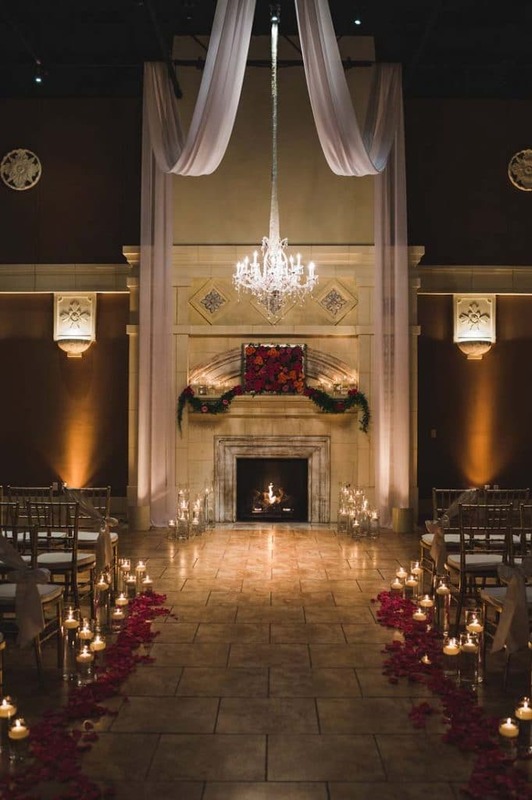 The form lays out the specific placement, colors, and patterns of all lighting for your wedding day. At your final meeting, you will review and sign you Event Finalization form. Are you able to give me an estimate over the phone? While we are happy to obtain information from you over the phone regarding your design needs, we always prefer to meet in person as we will be able to reference photos and layouts to make sure we are on the same track with your design. Should I attend the Event Services Showcase? Absolutely! Our Event Services Showcase will be a great opportunity to check out some of our Lighting and Décor inventory, as well as learning about our Disc Jockey, Videography, and Photo Booth services. Please note, we may not be able to have a full design consultation with you during the showcase, but we may be able to provide a general estimate if you have an idea of what Event Lighting and Décor items you are interested in. Do you offer Event Lighting and Décor packages? We want your wedding to be as unique as you are! Because no two weddings are the same, we do not offer Event Lighting and Décor packages. Rather, our design specialists will work with you to determine your specific design needs and create an estimate that is tailored to your vision for your wedding day. We got married at the Palm Event Center in May 2011. We used Fantasy Sound for our DJ and Videographer. They are the absolute BEST! The month prior to our wedding they made sure we were on track with our meetings and gave us great advice about what works/doesn’t work. Fantasy Sound really pays attention to all the details and they genuinely want to make your day as special as possible. Our videographers were amazing! They made sure to capture all our requested moments and did whatever it took to get our shots – they would literally lay in the dirt make sure they got the perfect shot. It was unbelievable! They make you feel so comfortable that you forget their HD camera is on you. I truly enjoyed working with everyone at Fantasy Sound and would highly recommend them to everyone!